There’s a scene in season one of Last Chance U, the popular Netflix series that aired last year, that’s incredibly unsettling. The junior college football powerhouse that the show follows, East Mississippi Community College, gets sucked into a massive brawl that’s as brutal as any team fight you’ve ever witnessed. The scene made you cringe. Stephens was so affected by what he saw in himself over the course of the six episodes of season one that he was embarrassed by his behavior and reluctant to attend a Denver film series to promote the series. 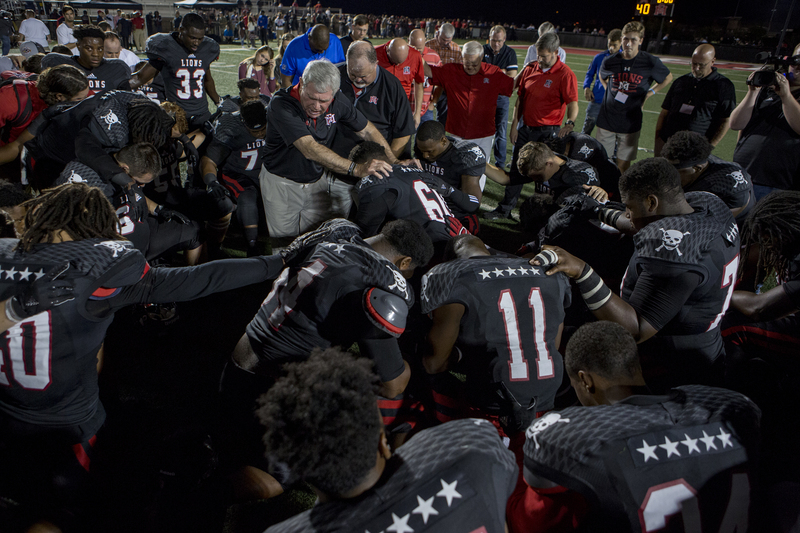 After exposing the rawness of juco football in season one, EMCC has invited the cameras back to document the 2016 football season, which is the subject of season two of Last Chance U, which begins streaming on Netflix on Friday. 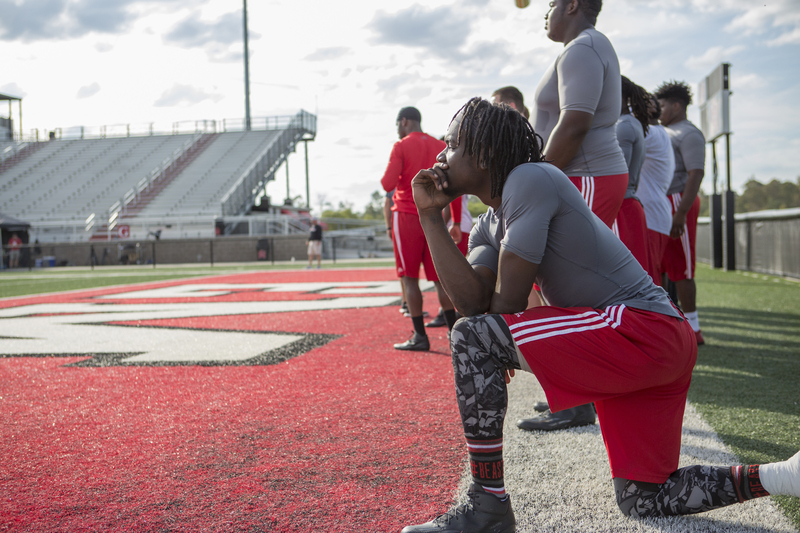 The director of Last Chance U, Greg Whiteley, was thrilled to spend a second season in Scooba, Mississippi, a tiny rural town of 700 people who few had heard of before the series. That’s changed since that first season, when EMCC opened all its doors and allowed Whiteley and his crew to document the lives of players who see the school as their last chance at football stardom. Last Chance U , season two. What was thought to be a huge challenge in a second season: getting the players to remain authentic in a day and age where everyone’s holding camera phones to their face in a cry for attention and Instagram likes. The true reality of reality TV: The more drama in your life, the better your chance of fame and airtime. But Whiteley didn’t see that as a problem. If you followed season one you know that EMCC is a juco football powerhouse that was in pursuit of its third straight National Junior College Athletic Association championship when the cameras began following the team in 2015. That fight would eventually derail the team’s quest to three-peat. And, in an attempt to avoid spoilers, the carryover from the brawl has serious implications for EMCC in Last Chance U’s second season. Focusing on juco football is brilliant. At that level you will always be able to find players with Division I talent who wind up playing at the juco level because they are their own worst enemies. Season two of Last Chance U documents the redemptive journeys of quarterback De’Andre Johnson (who was caught on video punching a woman while he was at Florida State), defensive lineman Chauncey Rivers (who was dismissed from Georgia after his third arrest on marijuana charges) and linebacker Dakota Allen (who was released from Texas Tech after his arrest for burglary). Besides Stephens’ attempt to rehabilitate his image in season two (after he often appeared completely unhinged in season one), Brittany Wagner returns to her prominent role as the academic adviser striving to keep the players on the field. The relationship between Stephens and Wagner in season two is best described in one word: tense. Sequels are always challenging, but Whiteley is able to pull it off mainly because of the turnover of talent of the juco players who open up and lay bare their often troubled lives. Just like you rooted for the bad guys in The Wire, you pull for these players, who often need little more than someone steering them in the right direction. The second season is even more thorough in developing the personal struggles of some of the key players, including the challenging journey of running back Isaiah Wright. With seasons one and two under his belt, Whiteley was asked whether he’ll spend another fall in Scooba.